‘The Dapper Chap’ is essentially a Victorian Gent with all the chivalry, charm and wit of someone out of the early 20th Century. 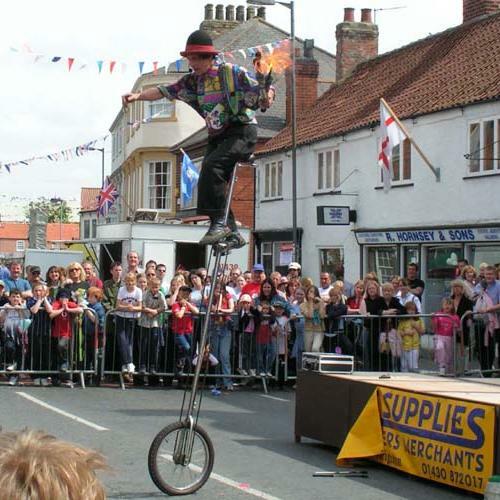 He rides around on an penny Farthing (LED optional) greeting everyone in his path. He pulls out many props from his vintage suitcase including diablos, juggling balls and glow juggling clubs which all leave truly wonderful trails of light and pattern. The Dapper Chap blends this great light show and juggling trickery with his interactive banter and comedy whilst mix and mingling with your audience. 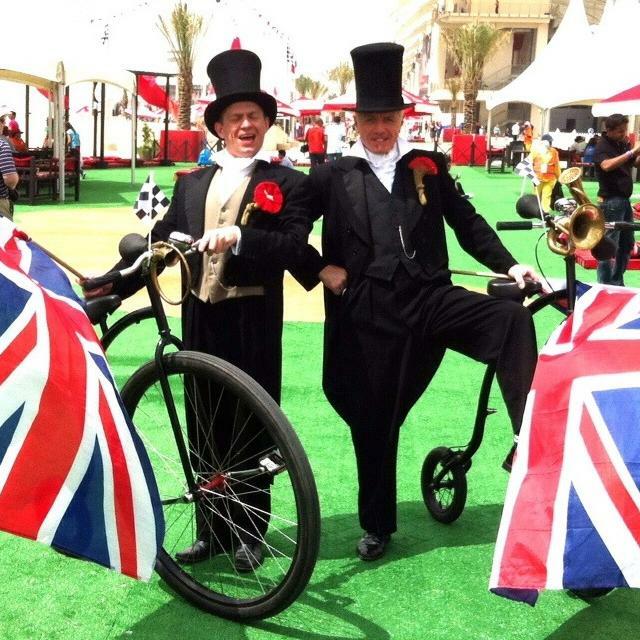 The Dapper Chap is available as a solo or duo act, and they can come armed with Stilt bikes rather than the penny farthing if a huge spectacular is required. 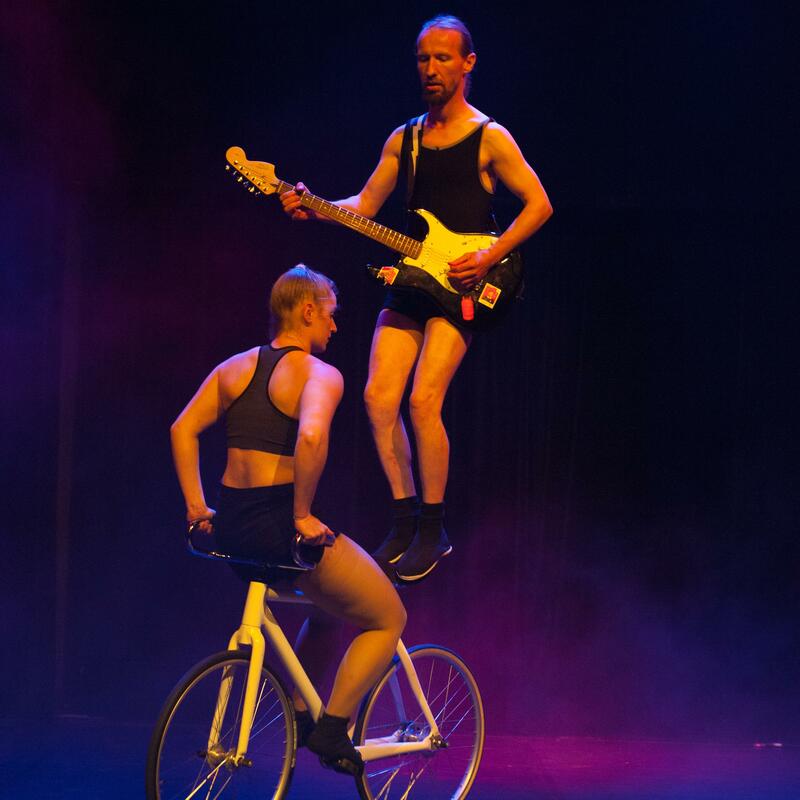 For a Christmas twist why not have them in red and black parading around on their LED bikes and then stopping to engage with your audience and deliver their eye stopping juggling show. 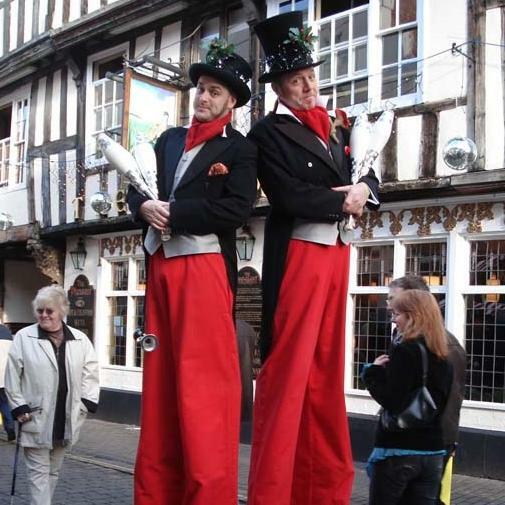 The Dapper Chaps are a great festive addition to any Victorian Party where a blast from the past is truly welcome. Really want to shake up your audience? 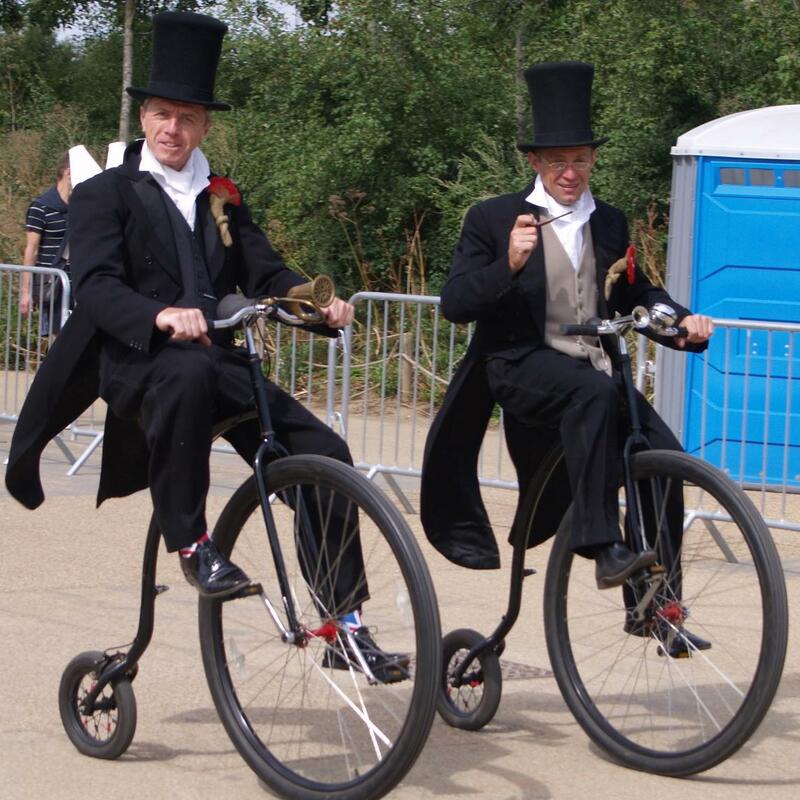 Why not invest in the Victorian Bobbies, they're sure to shake their trojan's at any mischievous fellows! For more information about The Dapper Chaps or any of our other Mix and Mingle acts, please contact your Account Manager.